Flower Pop. 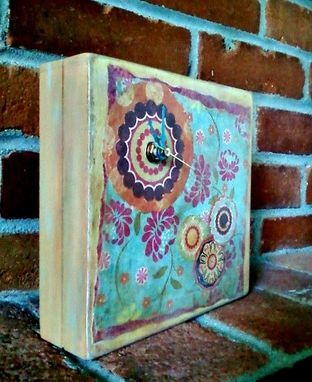 Recycled Crate Box Clock. 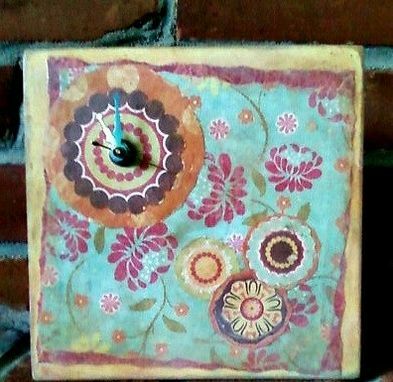 This sweet clock is a little bit retro, or a little bit country- depending on a rooms theme. Lightly distressed. Can be hung on a wall, or set on its base on a table or shelf. What a fun way to bring a bit for flower power pop to your decor. Measures approx. 7 1/3" x 7 1/3" x 2"D.